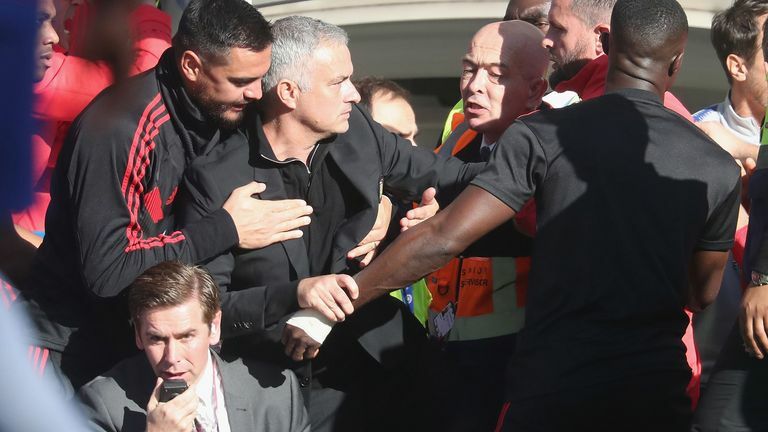 Chelsea are angry and deeply embarrassed over Saturday's touchline incident involving Jose Mourinho and their assistant coach at Stamford Bridge, according to Sky sources. 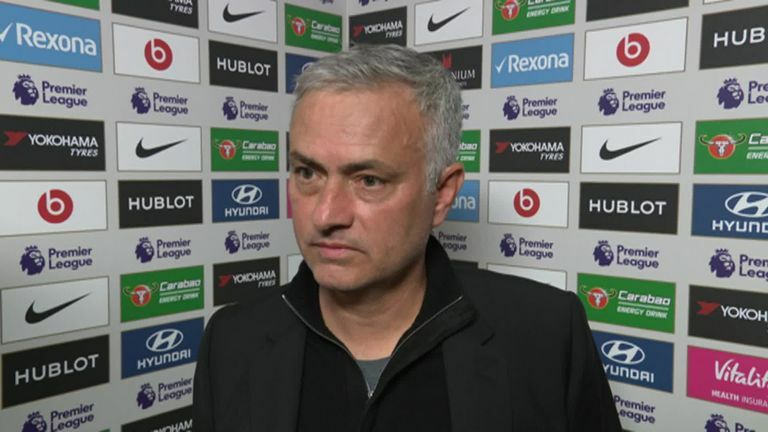 Mourinho's return to Stamford Bridge ended with ugly scenes as the Portuguese reacted angrily to the celebrations by Marco Ianni, second assistant to manager Maurizio Sarri, after Ross Barkley's last-gasp equaliser in the 2-2 draw. Barkley fired home on 96 minutes to salvage a point for the hosts with a furious Mourinho having to be restrained by stewards before Sarri managed to reconcile the Manchester United boss. How will Chelsea remember Jose? Chelsea regard the behaviour of Ianni, who spent two years as a technical assistant to Sarri at Napoli before joining the Blues, as falling well below the standard expected of the club's staff. It is understood Ianni had watched most of the match from the upper tier of the East Stand and only came down to the team bench about 15 minutes before full time - something he is entitled to do in his role as analyst. However, the club feel that leaving his seat and celebrating the goal in front of United's bench was hugely regrettable and not what they expect from a member of the backroom team. The scuffle around the bench and players' tunnel took several minutes to settle down and involved over 20 players and staff. Mourinho said a "lack of education was to blame", but, accepted the mistake. He told Sky Sports: "I am not annoyed with anything. What happened was with Sarri's assistant, and Sarri was the first one to come to me to say he would resolve the problem internally with me. "After that his assistant come to me in Sarri's office and apologised to me. I immediately said if you really feel that way, and you want to apologise, of course I accept apologies, and to forget it because I made lots of mistakes in my career. "So I'm not going to kill you because of one."